New RPG from staff behind SaGa, Chrono Trigger, and more. The Legend of Legacy, FuRyu’s 3DS RPG from staff behind SaGa and other notable games, is coming to North and South America this fall, publisher Atlus announced. It will be released in retail stores and digitally for $39.99 / CA$49.99. The game sees players unravel the secret agendas each one of its seven playable explorers has in store for Avalon, a mysterious new island that materialized in the middle of the sea from out of nowhere. Get the full overview below, via Atlus. In The Legend of Legacy, Seven adventurers – Liber, Meurs, Owen, Bianca, Garnet, Eloise, Filmia – arrive on the mysterious island of Avalon to pursue their own agenda as explorers. They team up with two of the other adventurers to achieve their objectives – be it exploring the island for treasure, looking for the “god” on the island, or recovering lost memories. But things change when they discover a singing stone that causes the party to see phantasms of Avalon’s forgotten history. 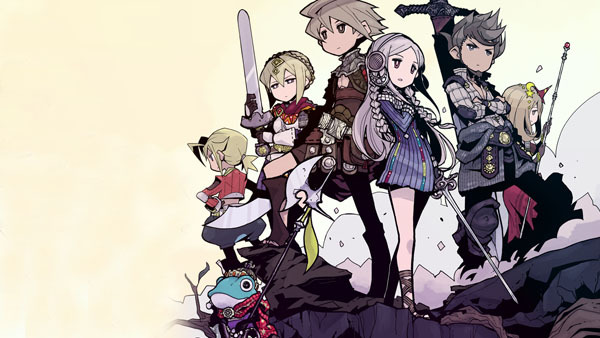 Seven Unique Perspectives – Each character in The Legend of Legacy has their own motivation for exploring Avalon, and their individual conclusion at the story’s resolution. Play through as each character to see them all! Combat Gets Classless – Managing formations to instruct specific combat roles instead of fixed classes adds a different level of challenge for battle enthusiasts. Legendary Development – Illustrator Tomomi Kobayashi (SaGa series), renowned composer Masashi Hamauzu (SaGa, Final Fantasy XIII), writer Masato Kato (Chrono Trigger), game designer Kyoji Koizumi (SaGa series), and Masataka Matsuura (999: 9 Hours, 9 Persons, 9 Doors) all come together to create this brand new experience. Balanced for the West – Based on user feedback following the Japanese release, several gameplay adjustments were made to enhance the gameplay. More details to come later! View the first English screenshots at the gallery.